With beautiful scenes connected through shades of fuchsia and violet, this gentle film follows the development of love between two young women. Set against the backdrop of the bustling streets of Nairobi, the two very different girls must choose between love and safety surrounded by insular gossip, local politics and burgeoning maturity. 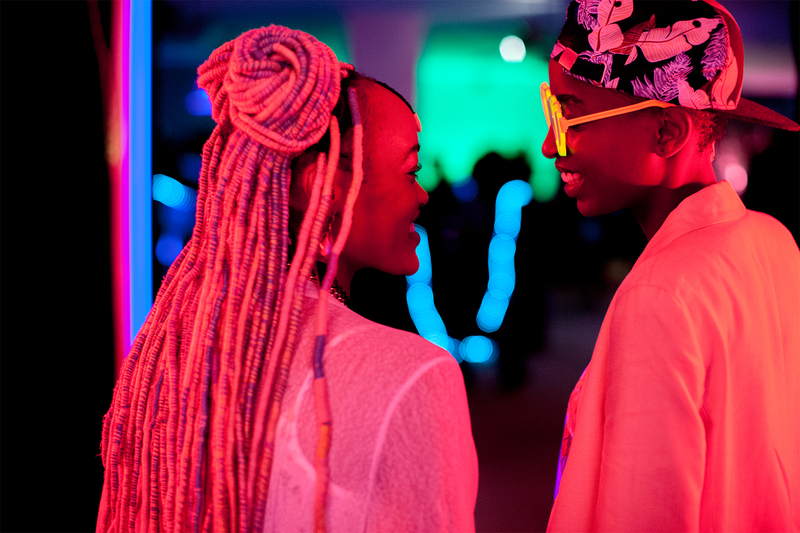 Rafiki was the first Kenyan film selected at Cannes and was then controversially banned from being shown in its home country by the Kenya Film Classification Board.